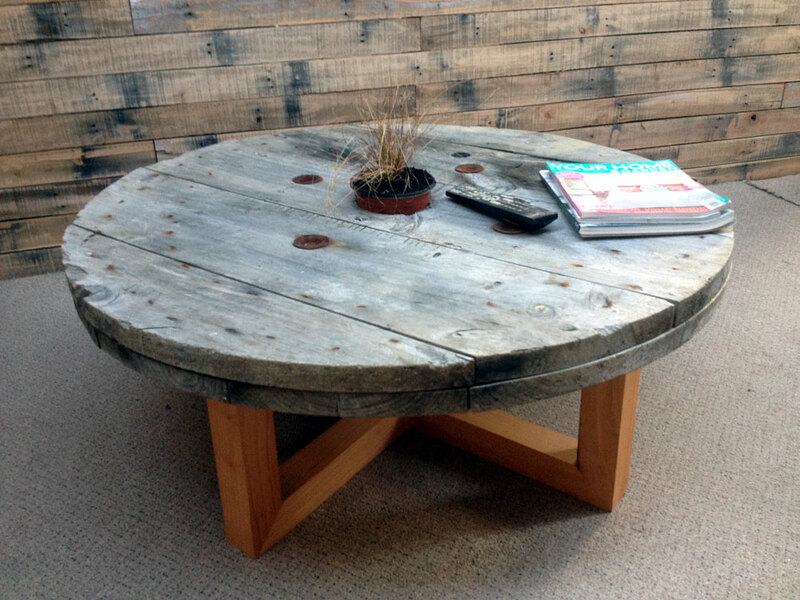 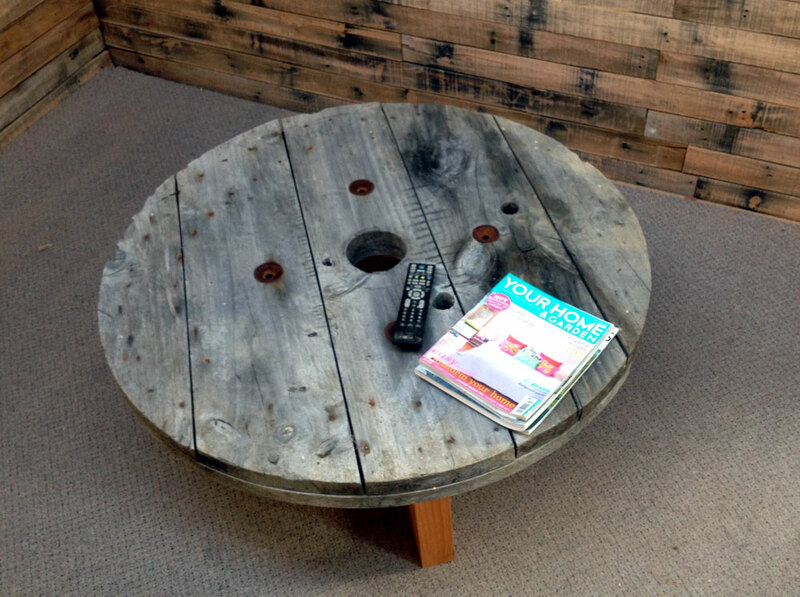 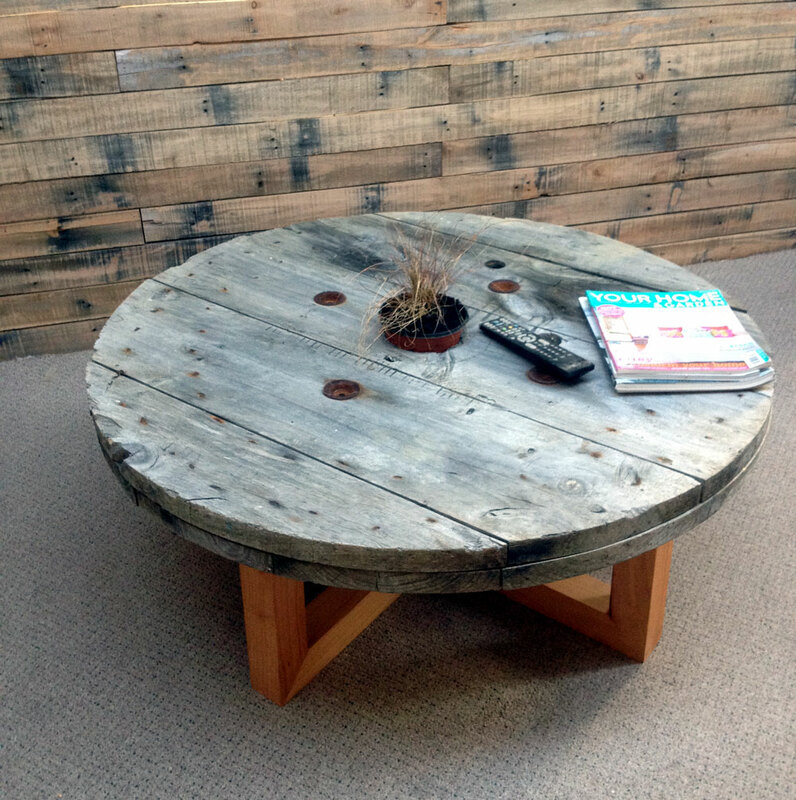 Brand new coffee table made from a reclaimed cable reel and solid Macrocarpa. 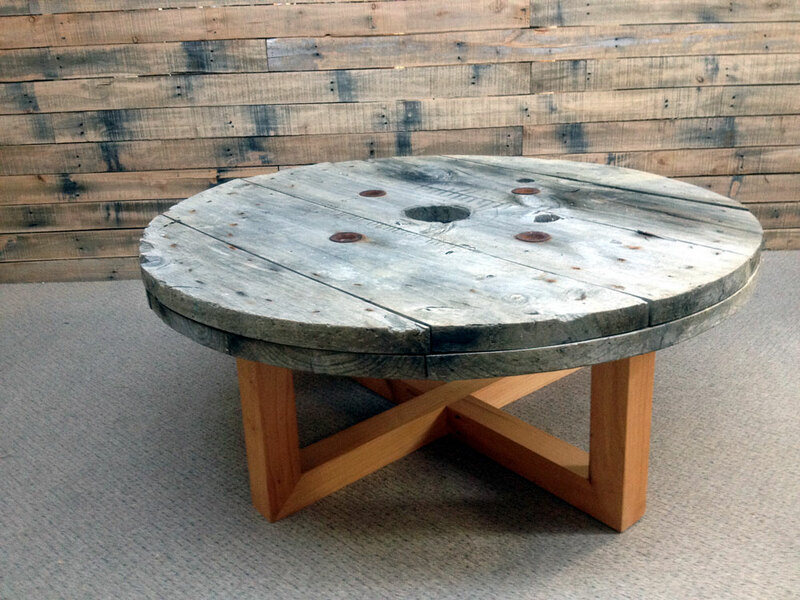 Table top has been left in its raw weathered state whilst the solid Macrocarpa legs are smooth, rounded and covered in 3 layers of Danish oil. 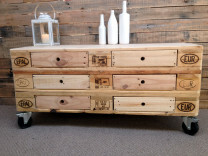 Mixing old with new to create a funky yet functional unique eco friendly piece of furniture. 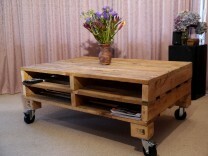 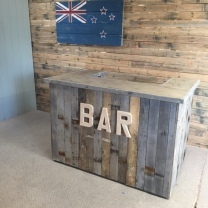 Categories: Coffee Tables, Pallet Furniture, One-off Pieces.